Spring Fever 2016 is almost here and Breckenridge Ski Resort is excited to announce this year’s lineup for the Bud Light concert series! Even better, this is a free event, so grab your friends and head up to Breck for the biggest party in the Rocky Mountain region. The three concerts will include big-name, national acts Michael Franti & Spearhead, Lukas Nelson and Promise of the Real, and Trombone Shorty & Orleans Avenue. Michael Franti combines his love of R&B, hip-hop, reggae and poetry into a unique blend of music that inspires both the soul and mind. Franti is a charismatic performer and lead vocalist who connects seamlessly with his audience during his live performances. On his recent album, All People, Franti exudes a sun-drenched and upbeat vibe, especially in his new song, “I’m Alive (Life Sounds Like)” which sets the scene for his other whistle-along hits. 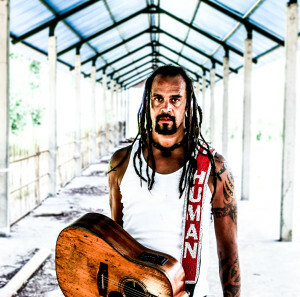 Franti’s humanitarian, social justice, and peace efforts continue to inspire his music and are infused throughout his upcoming album on Fantasy Records due to release in May 2016. Lukas Nelson first picked up a guitar at the age of 11 and practiced his craft by playing along to classic Stevie Ray Vaughn and Jimi Hendrix songs. The son of music legend Willie Nelson, Lukas Nelson and Promise of the Real electrify fans year-round with performances across the country, while also backing for the Neil Young band. Their cowboy, beach-hippy vibe meshes with a gritty rock and roll feel that creates a high-energy and infectious live set. At the heart of Lukas Nelson and Promise of the Real is their undying passion of Rock n Roll that speaks from the heart. New Orleans native Trombone Shorty is the bandleader and frontman in the hard-edged funk band, Trombone Shorty & Orleans Avenue. 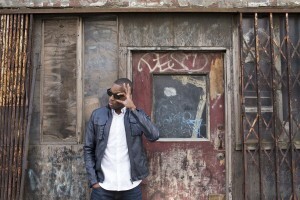 He began playing professionally at the age of five, and now Trombone Shorty and his band tour internationally with their unique style that employs rock dynamics, a hip-hop beat and improvisation in a jazz tradition. The group’s musical talents are best showcased during live performance, where NOLA jazz heritage is paired with modern funk to delight fans everywhere. We’re looking forward to seeing these talented musicians live on our Peak 8 stage. Come hang out while DJ DC gets the party started with music and giveaways from 2-3 p.m. before each main event. For more information on the Bud Light concert series and more fun Spring Fever events, visit Breckenridge.com/SpringFever.